Techniques for arranging and fitting words within the balloon. Start by typing (or copying and pasting) the text from the script and choosing a lettering font (we’re using HushHush here). Select the text and hit command-shift-c to center it. Now go through and hit “return” to arrange the words in a round shape. As a general rule, the center line of text should be the widest, and each line above or below it should be slightly narrower. It can often take several tries to find a combination that works. Sometimes we’ll start from the end of the balloon and work backwards. Or if there’s a particularly long word, put it on its own line and work outwards from there. If possible, break the lines at natural pauses, such as periods and commas. Writers appreciate this. It is quite alright to put a single word on the top and/or bottom lines of a balloon. While leaving ‘widows’ is a big no-no in typography, they’re acceptable, and even necessary, in word balloons. Next, bold the “emphasis” words, usually indicated by underline or all caps in the script. Double-click the word with the text tool to highlight it, and choose “BoldItalic” from the Character palette. Remove any unnecessary Crossbar “I”s, which often show up in bold words (if they were entered as all caps in the script), or at the beginning of sentences. The only time to use the Crossbar “I” is for the pronoun “I”, as in “I am a very good letterer”. We Crafties consider the misused Crossbar I the first sign of an amateur lettering job. We’re snobby like that. Lastly, create a balloon around the text. See here and here for details. Avoid leaving the balloon too “loose”, which will cover more art than is necessary. But don’t make it so “tight” that letters touch the balloon edge. Ah… just right. As a general rule, imagine that a small letter “o” can move freely around the text block without hitting the balloon edge. Occasionally, no matter how you rearrange the words in a given balloon, you will be stuck with one line that sticks out further than the rest. In this case, the last word in the balloon, “river-horse” is the widest word. Since it’s already hyphenated, we could move “river-” up to the previous line, but that would just create an extra-long middle line. So since we’ve got to Horizontal Scale one line regardless, we might as well keep the last word intact. Select the word with the text tool, and set the “Horizontal Scale” value in the Character palette to “95%” or even “90%”. We avoid scaling a line of text less than 10% different from the rest of the lines, otherwise the letter thickness becomes noticeably skinnier than the rest of the words in the balloon. 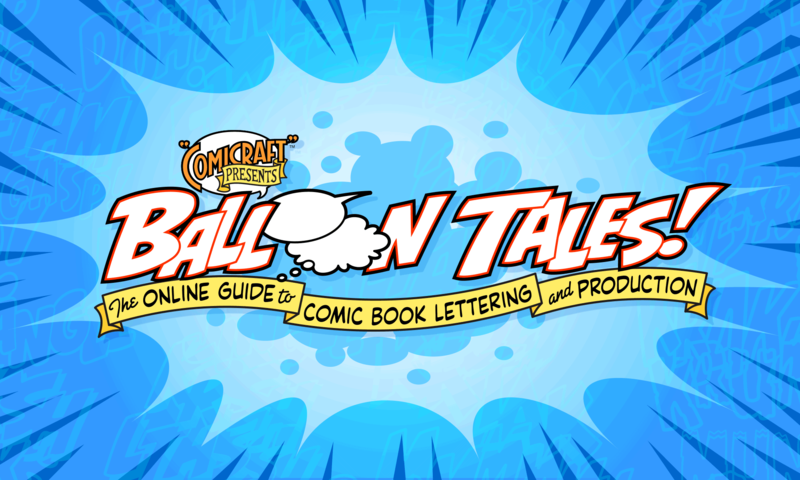 To contain a squarish block of text more snugly without getting too close to the words, make the balloon “TV-Shaped” — click here to learn how!